In this epidsode pianist, composer, arranger and educator Earl MacDonald joins me in an interesting discussion. We delve into Open Borders of the musical, political and social kind. 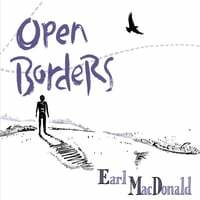 By the way, Open Borders is the name of Professor MacDonalds latest album with a 10tet. We also put Earl through the Blindfold Test and get his reactions to a wide range of pianists and jazz styles. In these days of political chaos and division, truth does matter. We are reminded of that through music from Noah Baerman (Satyagrahi) and Kamasi Washington (Truth) at the center of this podcast. Those tunes are sandwiched between classic jazz from Miles and Blakey, and a jazz/fusion set featuring Haque, Mahavishnu and new from Chick/Gadd. My annual podcast honoring Dr. Martin Luther King Jr, with jazz music. This year it takes on even more importance following the racism displayed by the man in the White House. Perhaps some good can come from this incident by awakening the good people of this country to stand up and resist racism and injustice in our society with non-violence as Dr. King would have wanted. This podcast celebrates the birthday of jazz fusion guitarist John McLaughlin. We play his music in several different settings to show the depth of his artistry and innovation. Most of this show has (Mahavishnu) John McLaughlin as a leader, but there are also tracks as a sideman. His work with Miles Davis is legendary. The podcast ends with an unrelated track from a CTI release of Milt Jackson playing Hubbard's Sunflower. 2017 was a great year for new jazz releases. There were so many great new albums that this extended podcast is 2 3/4 hours in length. Happy New Years to all my podcast listeners. Looking forward to more great music (and a change in politics) in the coming year. Joey Alexander ~ Round Midnight ~ Joey.Monk.Live!